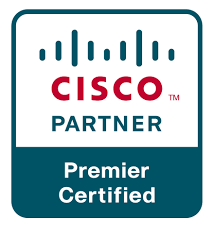 Cisco Systems is the worldwide leader in networking for the Internet. Today, networks are essential to the successful operation of businesses of every size, and to service providers, governments, and homes around the world. Meraki is a cloud managed IT company headquartered in San Francisco, California. Solutions include wireless, switching, security, EMM, communications, and security cameras, all centrally managed from the web. Aruba is focused on bringing Wi-Fi wireless LAN mobility solutions to enterprise networks. Core products are wireless Access Points (APs), wired switches, mobility controllers, and network management software. Ruckus Wireless, Inc. products include wireless systems for mobile devices. Ruckus offers Wi-Fi products to mobile carriers, broadband service providers, and corporate enterprises. Aerohive deploys a controller-less LAN architecture called Cooperative Control, which provides all the performance, availability, management, mobility, and security needed in a large campus deployment. Purple WiFi offers a free WiFi platform through which businesses can surveil their customer’s shopping patterns and habits while communicating with these clients through targeted messaging and data analytics.